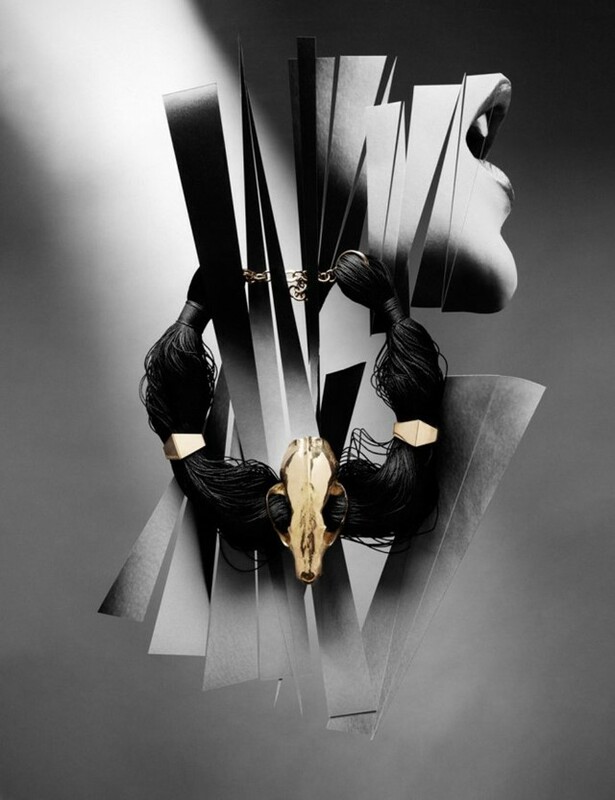 During Paris Fashion Week, David & Martin will exhibit a piece of unique jewellery entitled ‘Fauna Futura’, taking the form of a skull in moulded gold and is available for purchase at €25,000. It will be exhibited at Colette as part of the launch for the book ’Fashion Jewellery Catwalk and Couture’. Fauna Futura is not only the name of the piece but also indicative their new style which is a unique mix of futurism and patheism, where the piece acts as the starting point for their creative future. The exhibition ’Fashion Jewellery Catwalk and Couture’ and book of the same name by Maia Adams is the first of its kind. Profiling 33 international fashion jewellers who combine traditional techniques and ultra-modern methods to create a new style of jewellery of which the author believes is arguably the most exciting field in fashion today. DAVID&MARTIN are interviewed in the book alongside Louis Vuitton, Vivienne Westwood, the late Alexander McQueen, Judy Blame and Comme des Garcons. Adams believes that the allure of fashion jewellery is the endless scope for re-invention, the craftsmanship, unusual materials and an often-limited edition approach, which harnesses the spirit of couture for the 21st century.